I really wanted to write a post, since it’s been over a month, but I didn’t really know what to write about. So I’m going to start typing and we’ll see what happens. December has been such a blessing for me because it’s given me the opportunity to rest. November was insane busy and by the end I was definitely flirting with burnout. 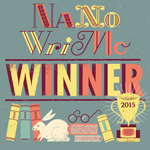 I did survive NaNoWriMo though, and my 50121 word novel is now safely tucked away to age like a fine wine…until I start editing it in a couple weeks or months that is. I also finished up the Fall Term at school successfully and good riddance, besides my Managerial Accounting class which was FANTASTIC, it was a pretty lousy term. I did a personal tarot reading for myself once November wrapped up and basically EVERY CARD was screaming at me to give myself a break and get some rest. Resting isn’t something I do well. I blame genetics and nurture. I come from a family entirely made up of Type-A personalities, also I’m a Leo and that fire energy won’t be denied. So I’ve had to figure out for myself how I can rest in a way that feels restorative to me. My version of rest often doesn’t look at all restful to other people, and that’s fine. The benchmark I use is whether or not what I’m doing is makes me feel more energized or more drained, and then I take it from there. 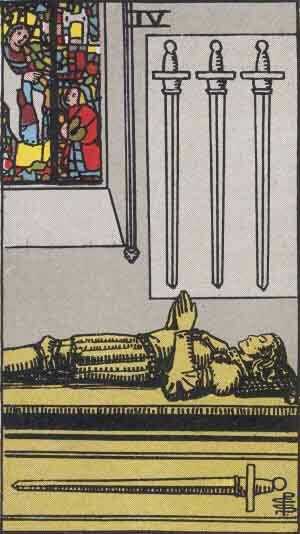 So for me, rest has been looking a lot more like the Six of Pentacles than the Four of Swords. Instead of a lot of literal rest, such as sleep or a lay down, it’s been more about conserving resources and being mindful about where I’m spending my energy, weighing each use of energy against it’s necessity and benefit. I’m going to wrap this up because it’s getting late, but it’s been great “talking” to you all and I hope you are doing well and navigating the holiday hullabaloo successfully, whatever that looks like for you. Oh yeah? Well piss off inner-critic, I’m gonna hit “publish.” I’m gonna hit “publish” and there’s nothing you can do about it. News & Updates July 2015: Ch-ch-changes! I hopped on the blog today because I wanted to let you in on some updates and changes that are going to be happening around The Tarot Parlor over the next couple months. I felt that getting my intention out there would be a good way to keep myself accountable and to keep everyone in the loop. …READINGS! 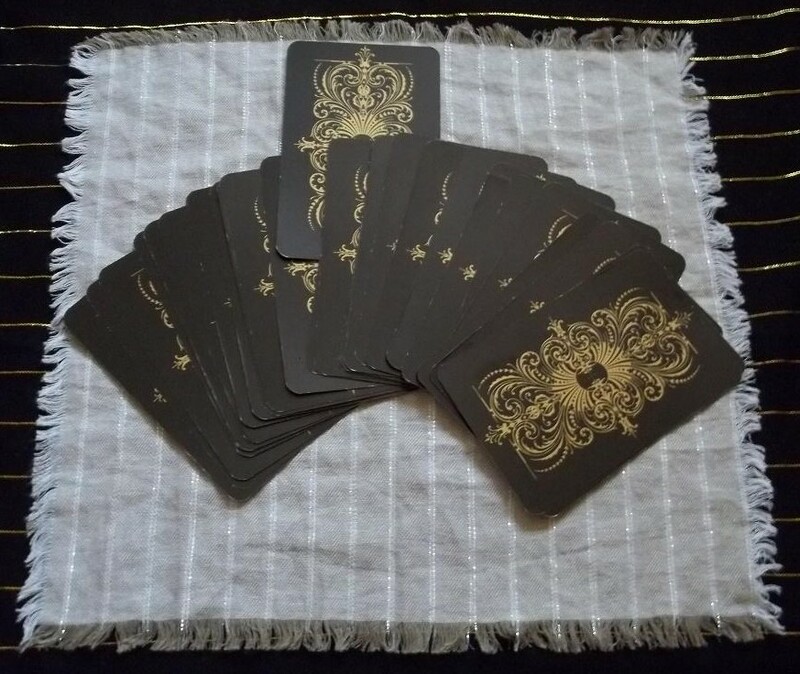 I will be offering tarot reading services at The Tarot Parlor beginning the same time that the domain address switches over, so September or October. I’ve spent the last couple months cooking up some really fun and interesting options to offer, so I’m excited to finally share those services with you all. I’m not sure that WordPress is the best platform for e-commerce, which is why I’m trying to figure out if I should go somewhere else. People are raving about SquareSpace right now, so I may give them a try. 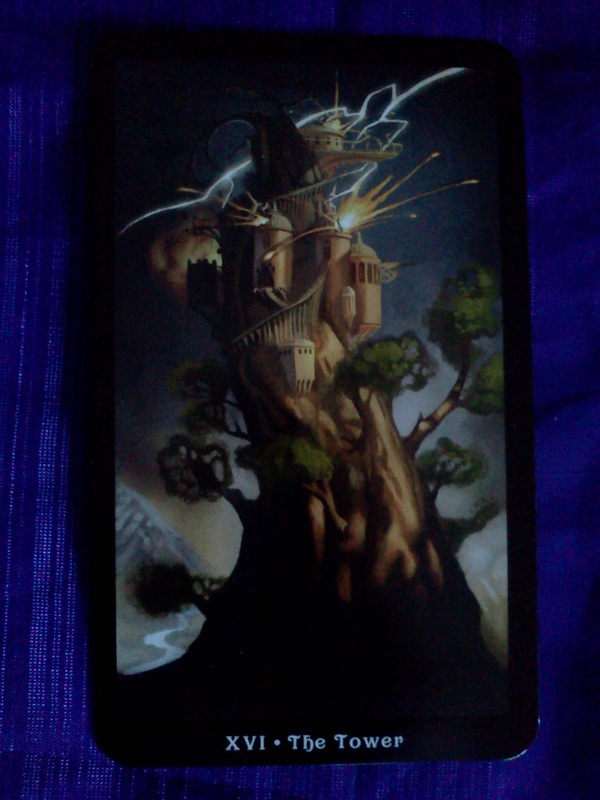 …Not for my tarot blog/business. I love the name “The Tarot Parlor” and that is here to stay, as far as I can anticipate anyway. I’m actually changing MY name! What it boils down to is that I’ve been living for a lot of years with a birth name that I don’t like and doesn’t feel like a good fit for me. I’ve tried to just deal with it, but the more time I spend online and the more interactions that I have, the more folks I meet and introduce myself to, the less authentic and representative I feel like my birth name is. I’ve not felt like I can really put myself out there as long as there is this false label that I have to operate under. I’ve finally decided that its becoming a major block, and a source of stress and distress in my life, so its gotta go. I want to assure everyone, especially those individuals who have been following me since day one (here’s looking at you Ellen. 🙂 ), that its still me, its the same person running the blog, doing the readings and sharing their insights, its just a more accurate label for me. 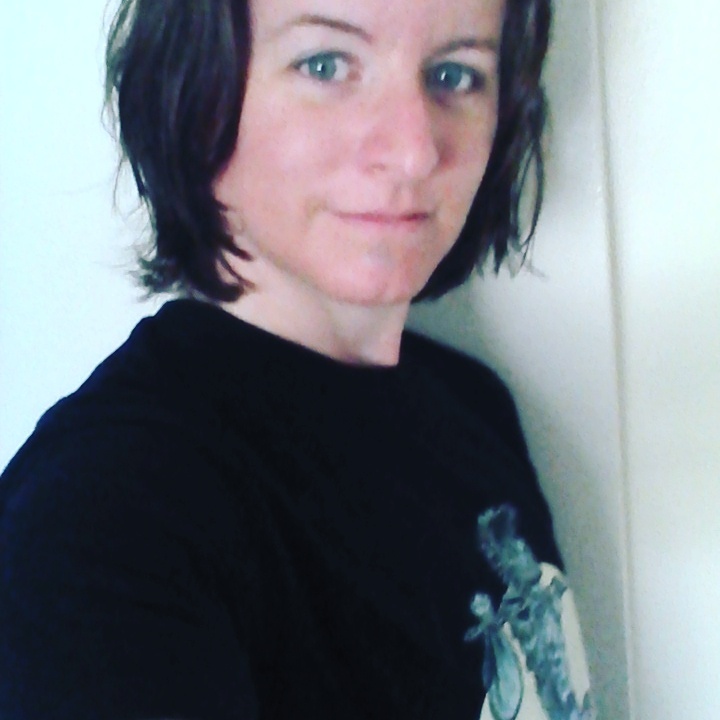 Think of it as “I am re-branding myself.” 🙂 From now on I’ll be posting as Cameron, or Cam…and I would love it if you would refer to me by either of those name…and like I said, its still me, just me being even more me. Well that’s all for now. Thank you everyone for your attention and support. This announcement has been a big and scary decision, but overall I am really excited for all the growth and change that is coming in the next couple months and Its exciting to have you amazing tarot people to share it with. How much information can you get from a single card tarot reading? 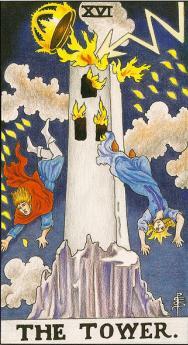 I’ve come across some incredibly detailed readings online where only one card was used. Recently I’ve been very drawn to the idea of trying it for myself. 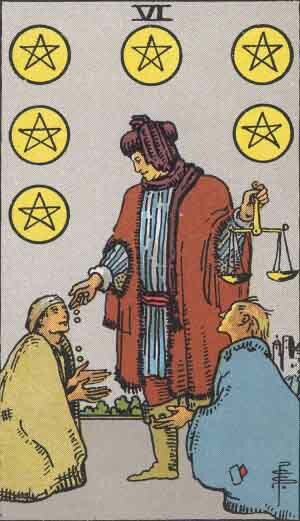 I’ve definitely done single card readings before, you can see some of them on this blog, but I really want to focus on seeing how much depth I can get from a single card, not just describing it, but to actually answer a query. I decided to do a one card reading for myself to try it out. Well, as much as I wanted to re-draw, or tell myself I picked the card too quickly, or that I was distracted and picked the wrong card, I stuck with it. 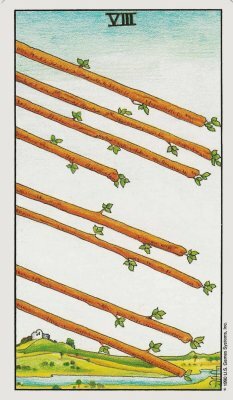 One of the most important things I have discovered in reading tarot is that you must stick with the cards drawn and trust that you received them for a reason. If you don’t, you will be second and third guessing yourself forever and experiencing self doubt and anxiety that is unnecessary and in no way helpful. So, I sat down and looked long and hard at that card and tried to stay as objective as possible. I tried to consider what I would say to a client who may receive the same card. I figured it was worth noting the differences, since they seemed to give the card a different energy. Overall I felt like I got a good amount of information from this card. Part of me wanted to keep digging and try to get more, but once the information stops flowing freely and I start feeling like I have to “think too hard”, I believe its an indication that there is nothing more that I need to know. Regardless, I felt like it was a very helpful exercise and it certainly has given me things to ponder as I continue with growing my project.